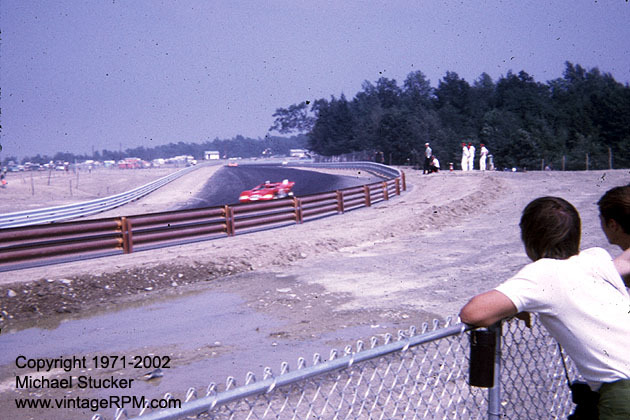 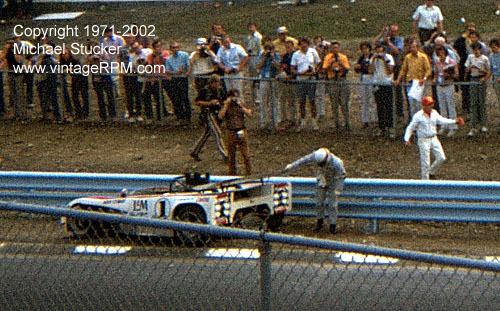 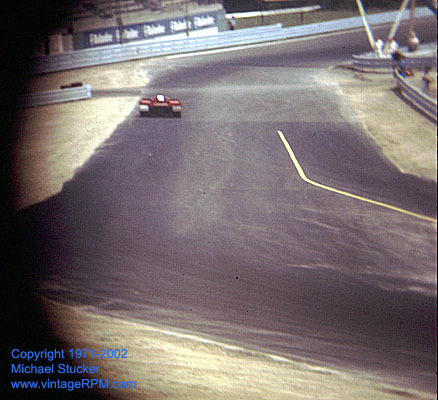 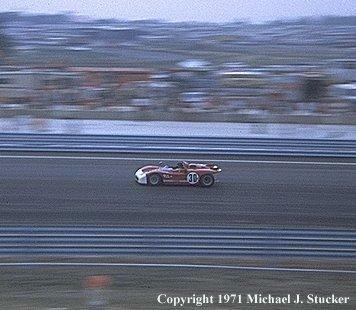 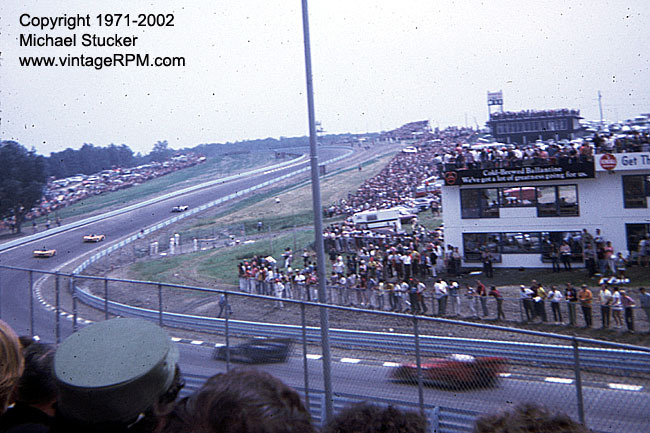 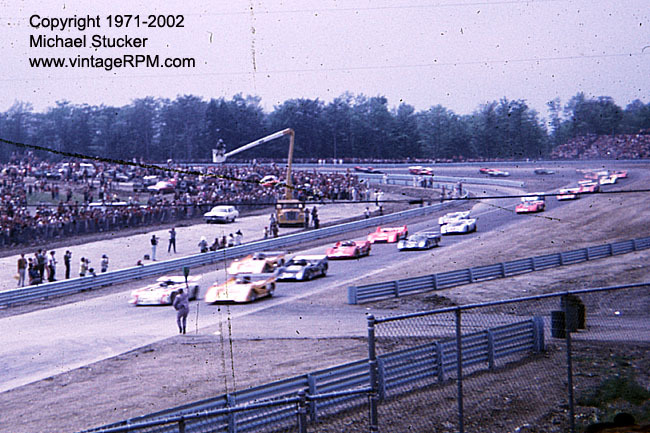 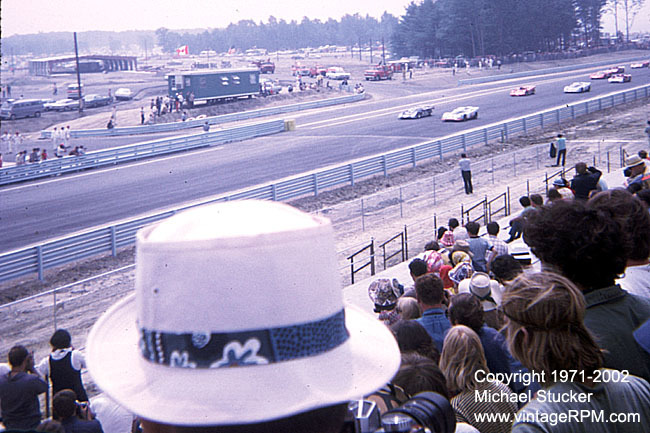 6-Hour endurance for the World Championship of Makes and Can-Am races in July, 1971. 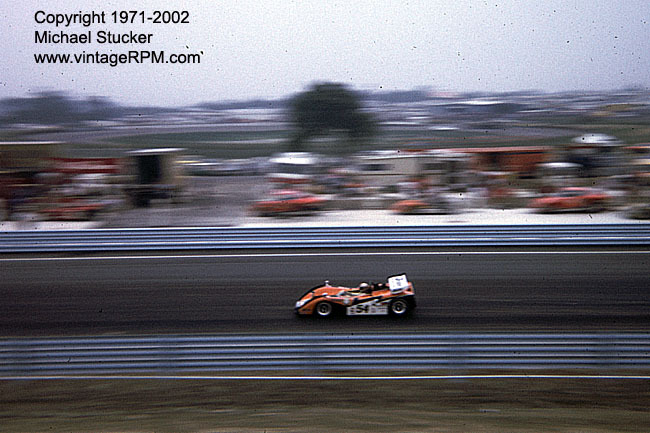 In the enduro, Mark Donohue and David Hobbs started their Penske Sunoco Ferrari 512M on pole, but Ronnie Peterson and Andre De Adamich brought their Alfa Romeo T33/3 home first in the rain. 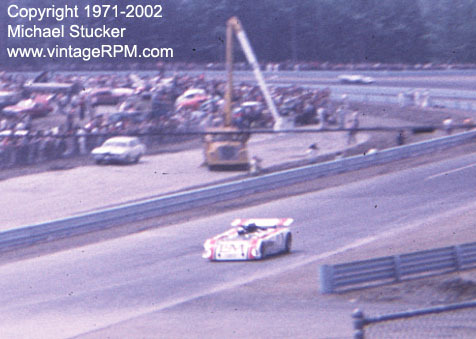 The Can-Am was won under sunny skies by Peter Revson in a Team McLaren M8F. 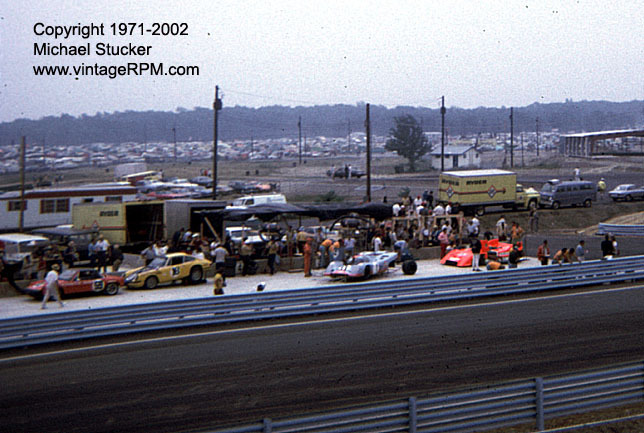 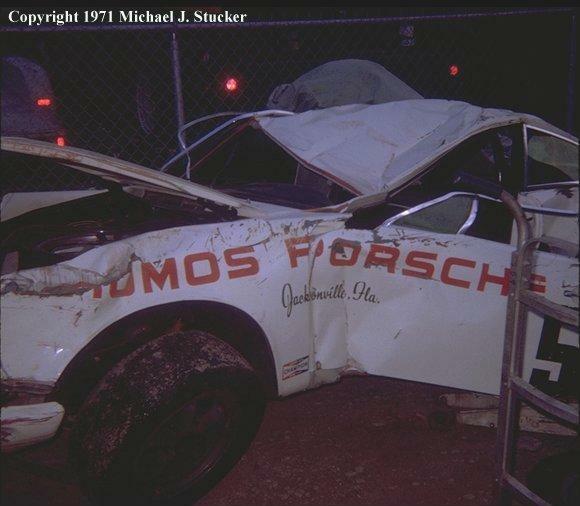 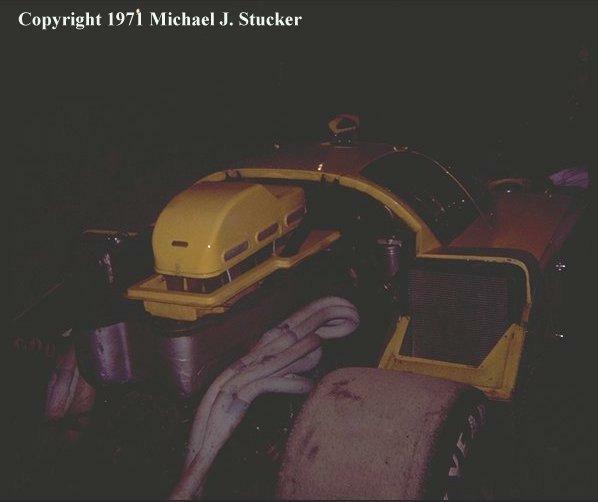 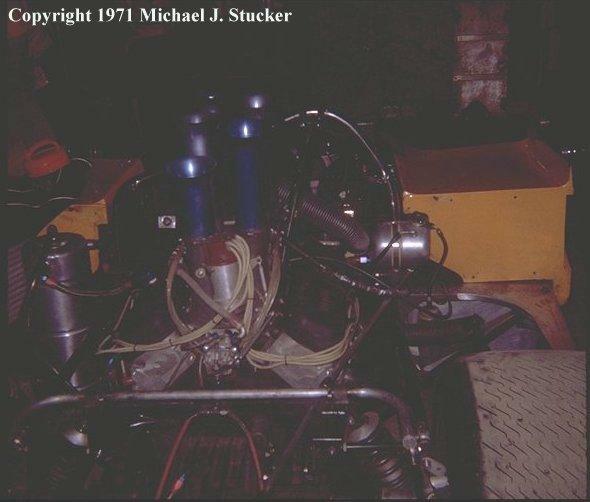 This was the first year that the new pits were used, but they still started and finished at the old location.